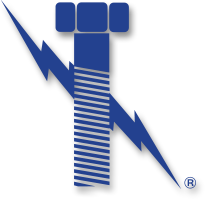 Our PTFE fasteners are coated with a proprietary Flurokote#1 blend that offers superior characteristics for maximizing the life of fasteners. This PTFE coating include a tensile strength of up to 4,000 psi & an operating pressure up to 100,000psi. 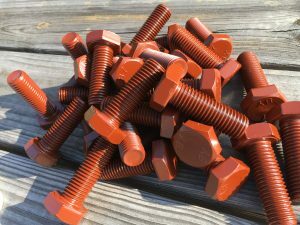 Unlike hot dip galvanized fasteners, the absence of oxides promise a safe and easy removal of “frozen nuts”when using teflon coated fasteners from Lightning Bolt. Below is several advantages of coating with PTFE fasteners. FluoroKote#1® possesses a low coefficient of friction which reduces torque requirements. Therefore there is an easy on/easy off properties exhibited by these fasteners provide safe removal with wrenches. 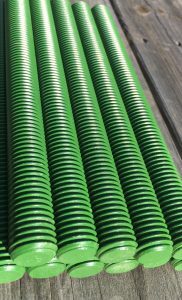 Lower your plant maintenance cost and increase safety by using teflon coated fasteners. Sometimes refereed to as xylan coated fasteners, this fluropolymer coating offers a 2200 hour resistance to corrosion. 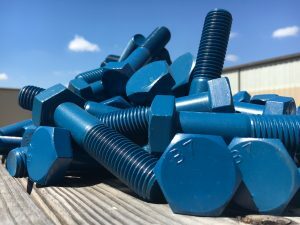 Teflon coated fasteners are viewed by many engineers as a cost effectifve method of keeping corrosion under control, while not substituing for weaker alloys such as stainless steel.